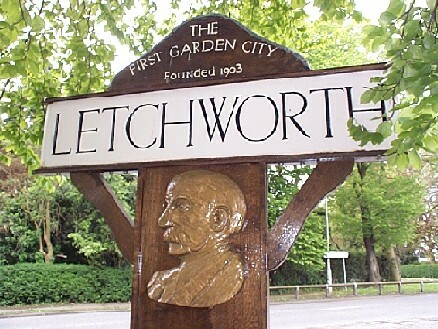 Letchworth is the world's First Garden City, established by the founder of the Garden City movement , Ebenezer Howard , in 1903. Howard wanted to combine the advantages of town and country living, whilst avoiding the disadvantages of both. The original Garden City plans were drawn up by architects Barry Parker and Raymond Unwin , to include parks and open spaces, with tree lined streets and low density housing .